Walking everywhere was the norm, but some used bicycles to get to work and for those that could afford one, a bike widened horizons. 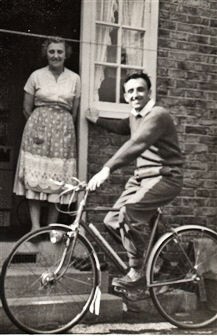 Cycling in Bodmin Grove in 1949. Douglas Millington with Clive Orton. This page was added by Cheryl Bailey on 10/01/2011. Was in the supermarket today and bought some Pascall sweets (here in NZ they are lollies!) 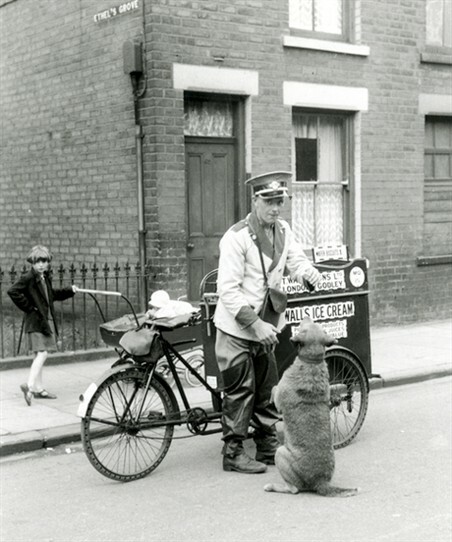 One of my Nan's neighbours in Colliers Wood used to work at the sweet factory - she also had pigs somewhere and the neighbours would leave scraps in the dustbin outside her house. If kids knocked at the door with the scraps we would get some mishapes and odd bits of sweets from her. My cousin and i had a good idea - we would take stuff out of the bin and then knock on the door for sweets...worked for quite a while actually til we got a cuff round our ears for being a pair of bleedin' nuisances!! I remember my brother collecting me one day when I was about 7. He had tied a cushion to his crossbar and sat me on that. 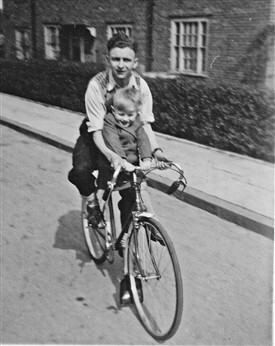 My dad's bike was his only transport. 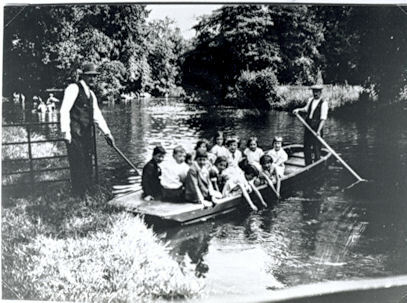 Every year he would cycle from Winchcombe Road, Carshalton, to Epsom Race Course for the Derby. He also would go on is bike picking hazelnuts and bring them home in his saddlebag. 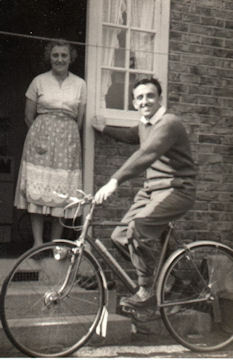 His bike was always kept in the passage at our house as we had no garden shed.